This address is the trailhead. We will meet there then drive into the desert to explore and camp over night! We would love to see as many people as possible attend this event. We hope to see you all there on March 17th for the fun! Sounds like so much fun, but don't think my carb will be on in time. You guys should upload some pictures afterward! Hope you guys get a great turn out! Looking for an SR axle! What facebook group are you referring to? I haven't had much luck finding other Montero owners. Talk about being a fringe group. 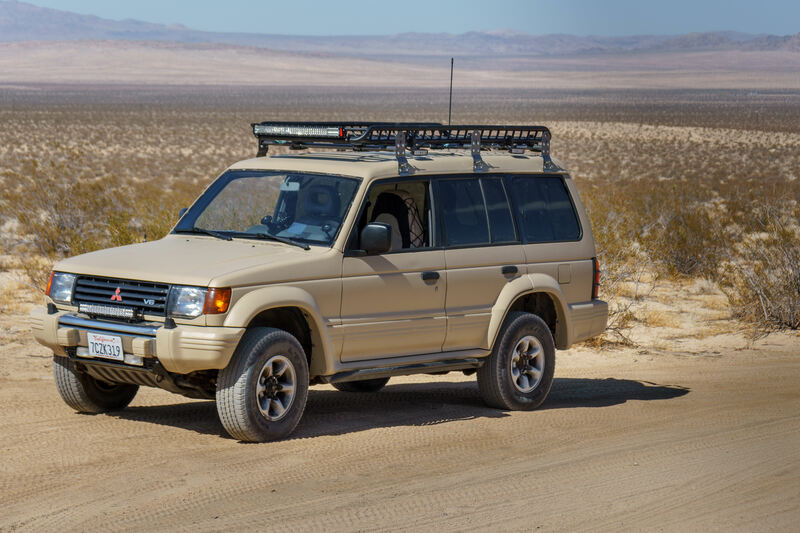 Since I've owned my 1997 Montero SR, I have only seen 3 others Gen 2/2.5's on the road. I'm almost 4 month into working on my gen 2 overlanding rig. The back is gutted and I'm starting to work on my drawer system, but I'm pretty much camp ready now, and am looking for other overlanders. Next up is 285/75R16's, axle swap and a 2" body lift, followed shortly by the ADD lift. It's got a cheap Amazon rack with extensions, but I'll be getting either a front runner full length rack or a self made rack built on the 80/20 10 series of aluminum extrusion and Gamiviti gutter mounts. 80/20 advertise it as legos for adults. I kinda agree. What facebook group are you referring to? I haven't had much luck finding other Montero owners. we throw together weekend trips every few weeks. love to have you along.